Angie’s Subs, 1436 Beach Blvd, Jacksonville Beach, FL. Need to grab a sandwich going to or from the beach? Angie’s Subs is your spot. 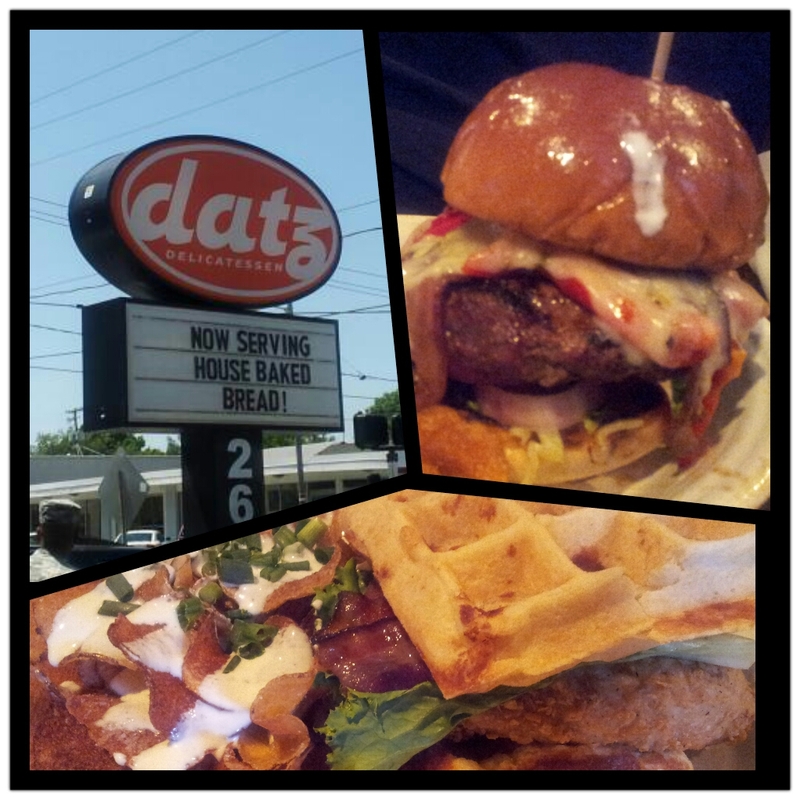 Eclectic, laid back, and friendly staff…with mad delish sandwiches and some of the best southern sweet tea this side of Great Granny’s house. Cold subs, Italian subs, and their “Old Stand By’s” give you many versions to choose from and offers an array of salads as well. Always seeking something different, I ordered The Sweet Tedd T, off the Old Stand By’s menu. You soon learn, anything with their special Peruvian sauce on it, is the way to go. The Sweet Tedd T. had roast beef, turkey, bacon, provolone cheese, Peruvian sauce, and I had it with Knick Knack (coleslaw) the first time, and with lettuce, tomato and mayo the second. The sub is toasted in a pizza oven that creates a bonus of added flavor, instead of the common steamer crapola. The atmosphere added to my decision to try the Funky Fusion kettle chips and I couldn’t pass up their highly touted Best Sweet Tea in Town. Go sit and wait for your sub to be delivered, you can’t help but notice the uber cray cray array of decor. Very entertaining…and my type of place when I want complete coolness and no bull. You will also notice the gigoondo squeeze bottle of Peruvian sauce on each table. I couldn’t wait to try, so I open up my Funky Fusion chips and added a dollop of Peruvian sauce. Addictive! I highly recommend the combo, and heightened funkdified flavor. Toasty warm sandwich delivered. Both literally and figuratively. This will flip your flip-flops folks. The Sweet Tedd T. is a winner! 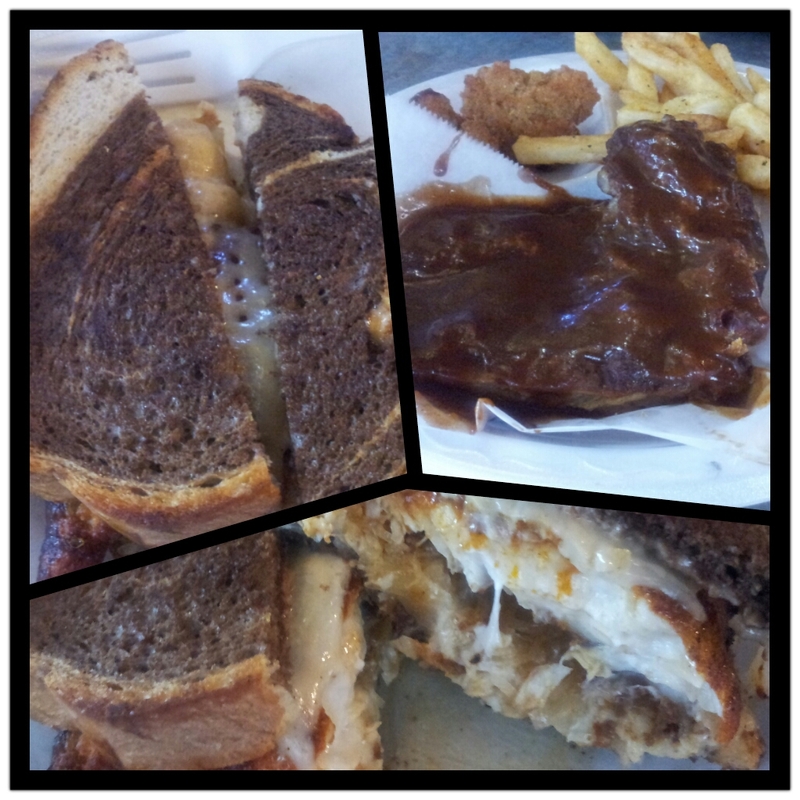 The mix of meats, cheese, sauce, and Knick Knack is mouth-watering. Definitely have the Knick Knack on your sub, if available. The crunch and sweetness is a smart contrast. Next visit, The Peruvian sub and The Jack Del Rio Grande is what I’ll be diving into. 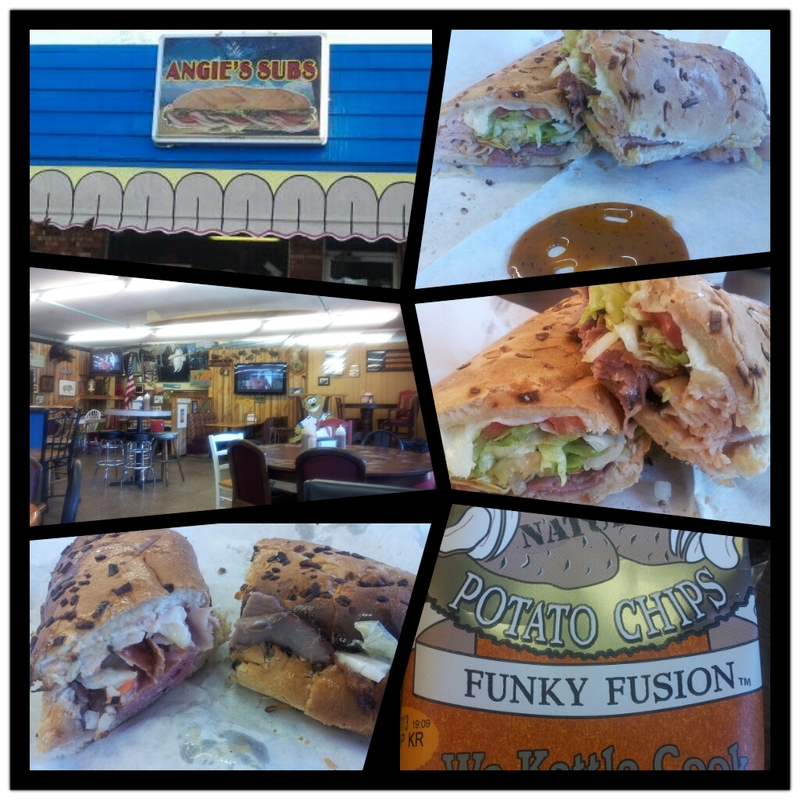 If you want a memorable sub, hit up Angie’s near Jax beaches. One of the best subs I’ve had in a very long time. As seen on The Travel Channel. Al’s Italian Beef, 169 West Ontario St., Chicago, IL .. with more locations. Another worthy choice for lunch in Chicago..or anytime, is Al’s Italian Beef with many locations throughout Chicagoland. 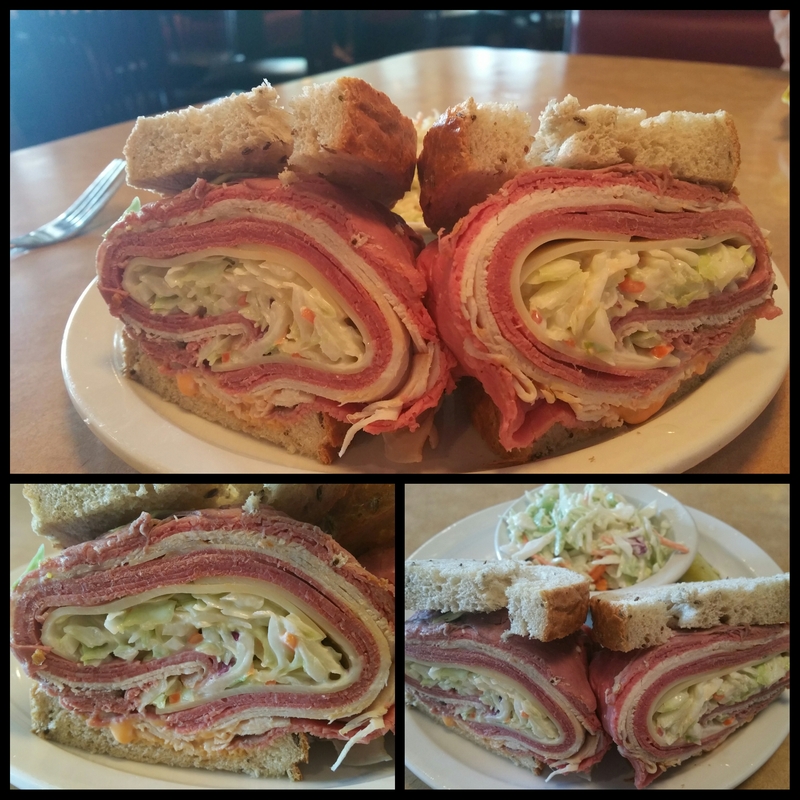 This sandwich is one of my top 5 in the country and definitely worth a try. Like Chicago style pizza and hot dogs, Italian beef is also a Foodie’s battleground as to the best in this city. I pick Al’s! Every aspect I prefer, the roll, the meat, the au jus, giardinere, sweet peppers….it suits my taste buds and makes them dance. You must have the sandwich dipped, it’s the only proper way to eat it, dipped in the warm lovely seasoned beefy broth. If you don’t dip, then don’t bother…you miss the scrumptiousness of the entire experience. And eat it right away. You can also learn the Al’s leaning stance, like Adam Richman did. If standing at the counter to eat, you want to set your feet back a bit and lean into it as to not becoming a hot mess. Want a kick? Add giardinere. Bonus! Sorry for the half eaten shot…I couldn’t resist digging in ASAP! 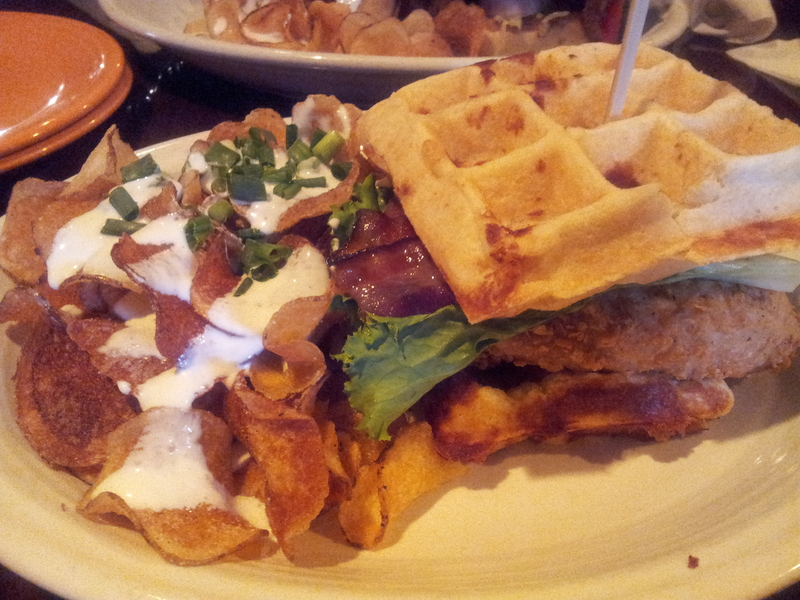 As seen on Food Wars, Man vs Food, and Adam Richman’s Best Sandwich In America. 5 out of 5, never disappoints my happy place. A must stop when visiting Chicago. http://alsbeef.com for menu and more locations.